We deliver high quality man and van services in Yiewsley, UB7 to take the burden off your shoulders. When it comes to reliability and affordability, we have no rivals. Our highly experienced staff will take all the necessary precautions to ensure the transportation process goes according to plan. We have designed our man and van service to give you peace of mind and save you time, money and efforts. Feel free to call us anytime on 020 8746 4391. 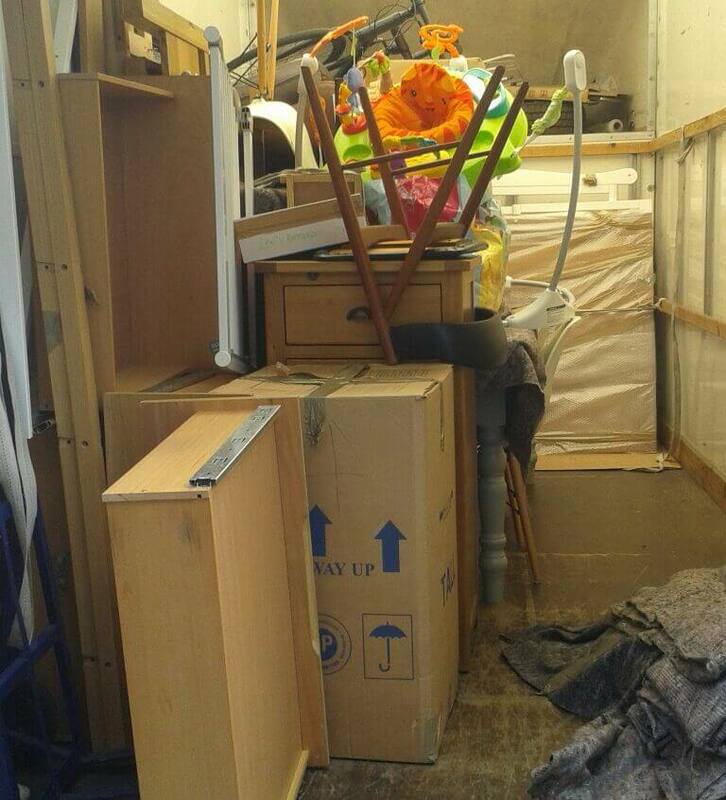 We are the leading provider of affordable removal services in Yiewsley. Rely on our man with van UB7 to provide you with useful plan-ahead ideas for smooth relocation. Whether you move house or office, a single piece of furniture or a big company, entrust the planning of the whole process in our capable hands. Starting with careful wrapping and packaging of your valuable possessions and finishing with unloading them at your new location, we will guide you through the whole relocation process. Get in touch with us on 020 8746 4391 without a moment’s hesitation. We are often asked whether we provide specialized removal house services, when there are oversized stuff such as furniture and appliances. We do offer such services and we usually arrange an one-on-one meeting to discuss all the aspects of the moving process. That's the moment when our man and van experts estimate the price and pick the right number of highly trained movers as well as the vehicle. We take into consideration every request you may have so you can sit back and relax while our experienced and efficient man with a van movers take care of your removal in Yiewsley, UB7. With our renowned company you can move everything you want - from pets and household furniture to machinery, you name it and we will move it! Not many companies on the market can provide full insured and comprehensive man with a van services throughout the UB7 region, including the Yiewsley area. You can rest assured that your belonging will be transport without a single scratch thanks to our amazing and experienced man and van in Yiewsley. They know how to pack and load everything properly. Call us now and benefit from our exclusive offers today! Got a team of efficient house movers from Man and Van Star and they did a fantastic job with my relocation. 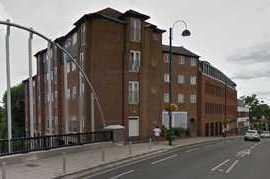 I have only good words to say about their diligence and all the hard work they showed till they got me to Yiewsley. Definitely the superior moving company in UB7. Thumbs way up and a definite recommendation. 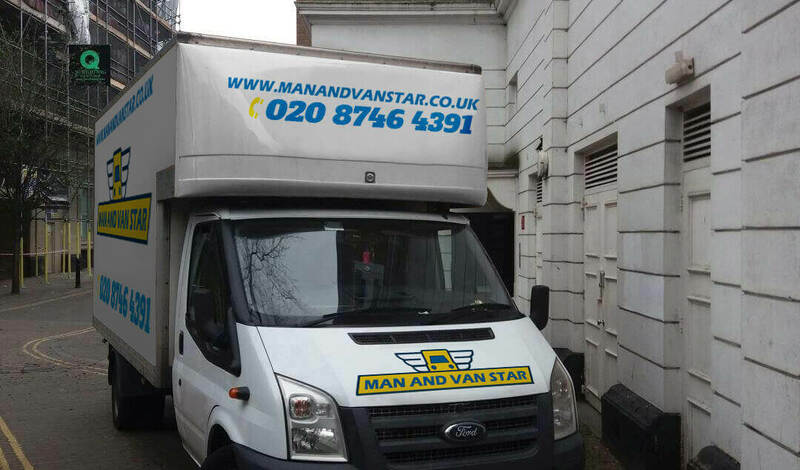 Man and Van Star was the moving company I chose for my house removals to Yiewsley last week and I still stand by my decision, especially after the great job they did. The house movers were super hard-working, they did not leave me anything to worry about and I was impressed with everything they did. The trip to UB7 was safe and speedy, and overall everything I wanted. Thank you. Business owners often worry a lot when moving offices. Once they contact our reliable man with a van company in Yiewsley area, all the hassle moves away. Our dedicated removal specialists can handle any situation and move any office furniture and machinery. We come fully prepared and equipped to perform the service you need within the set deadline. We also provide additional office removal services and materials in case you run out of packing materials, so the moving process doesn't stop. For all this and more, call us on 020 8746 4391 and we will take care of everything! Yiewsley is an area at the western tip of the capital, part of the London Borough of Hillingdon. The name of the area is derived from Anglo-Saxon and means ‘Wifel’s woodland clearing’. Historically, the area was a chapelry in the Hillingdon parish. New development occurred when the West Drayton railway station was established on the Great Western Railway. Present day Yiewsley is home notable neighbourhood groups. The Yiewsley and West Drayton Town Centre Action Group is one such, aimed at making the area more attractive. A history society is also present here. Based in Yiewsley is Hillingdon Primary Care Trust. Hire the best man with a van Yiewsley with us!